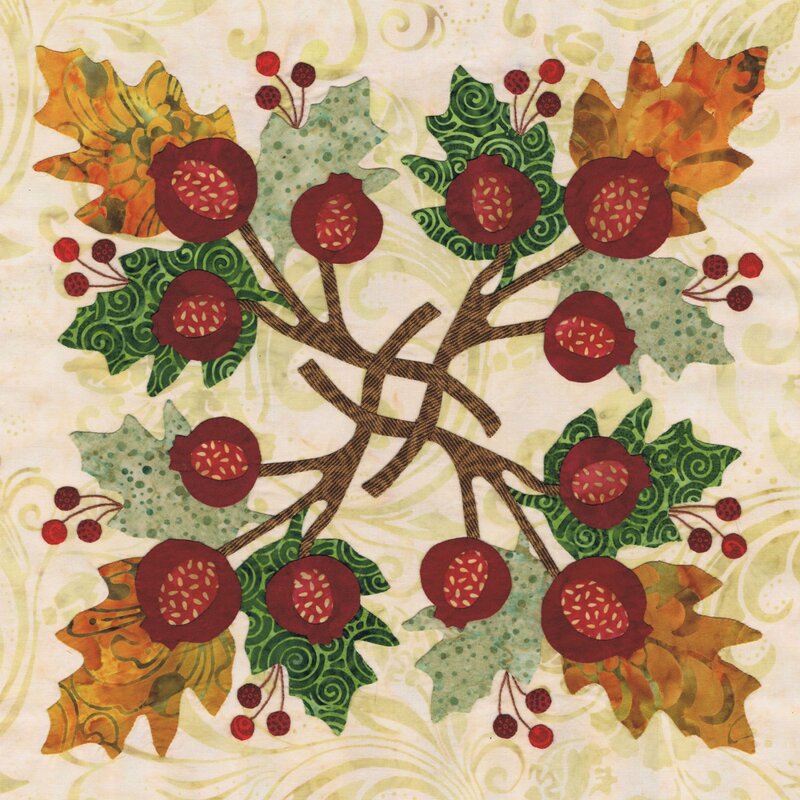 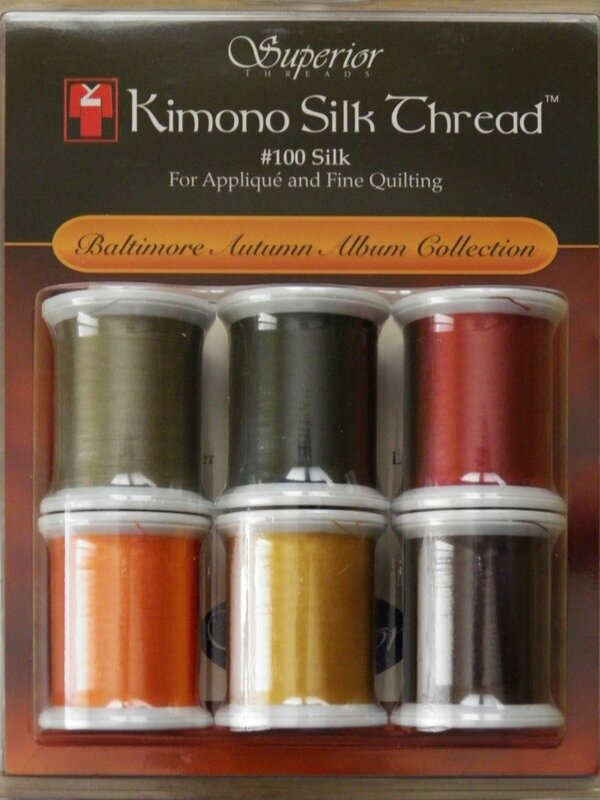 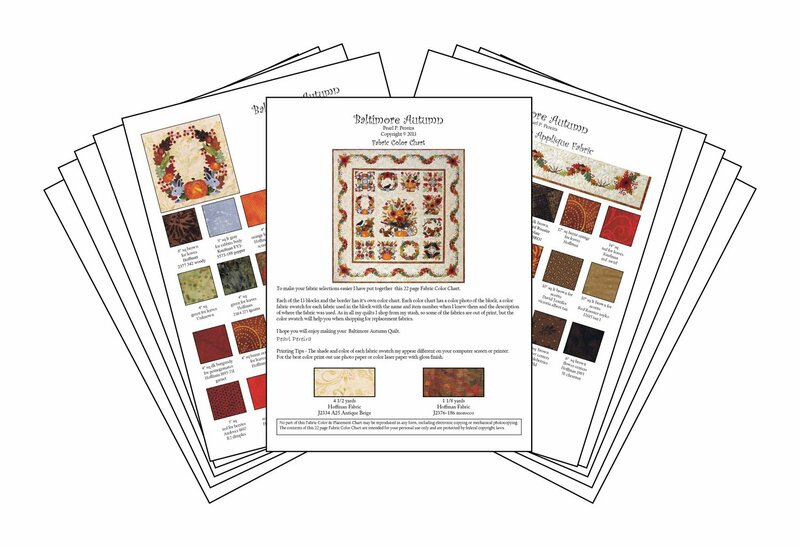 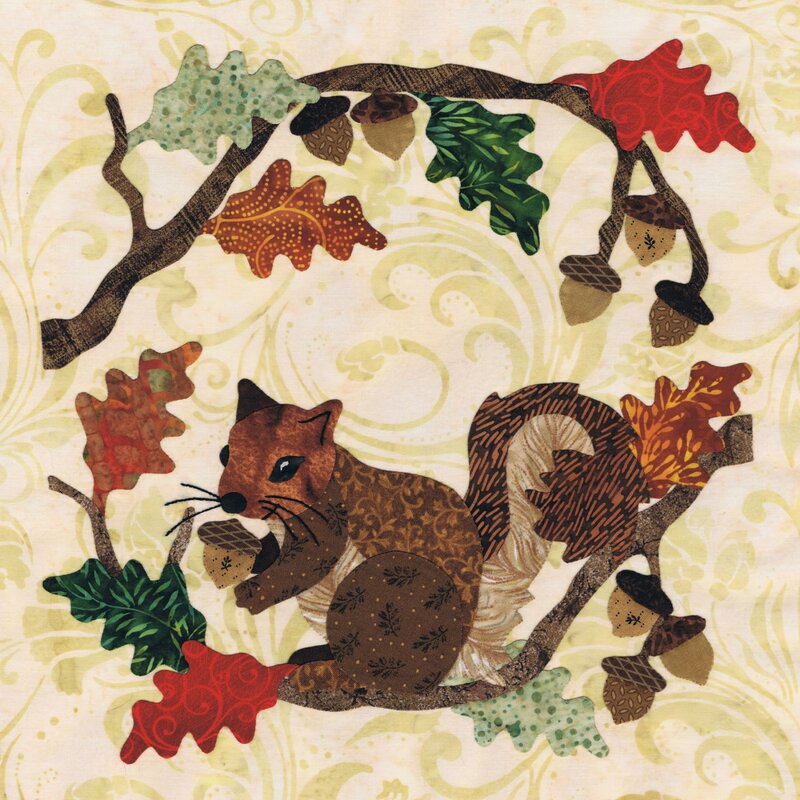 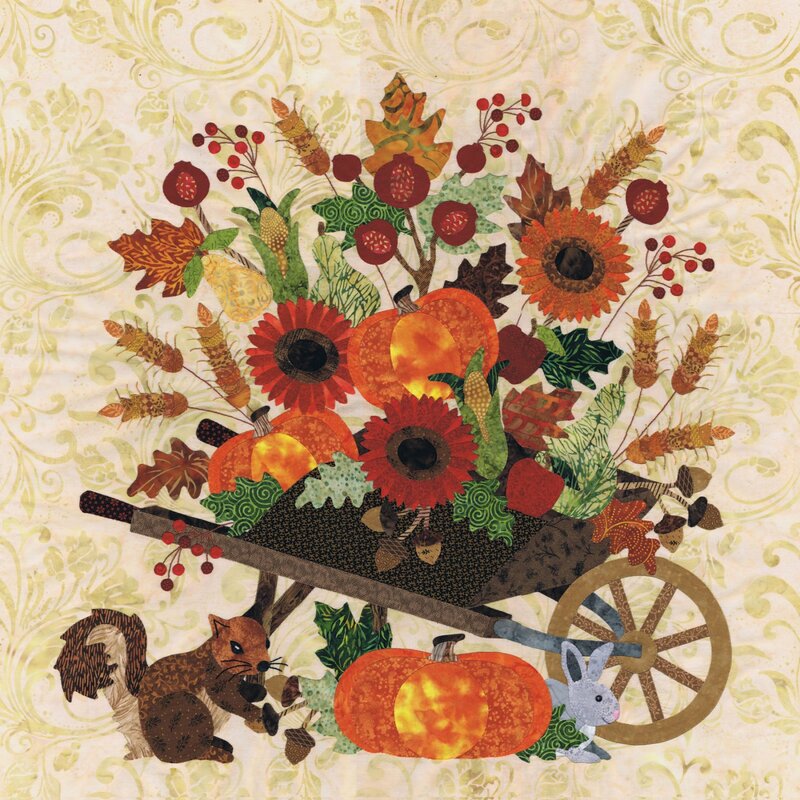 Baltimore Album quilts were made in Baltimore between 1846 and 1852. 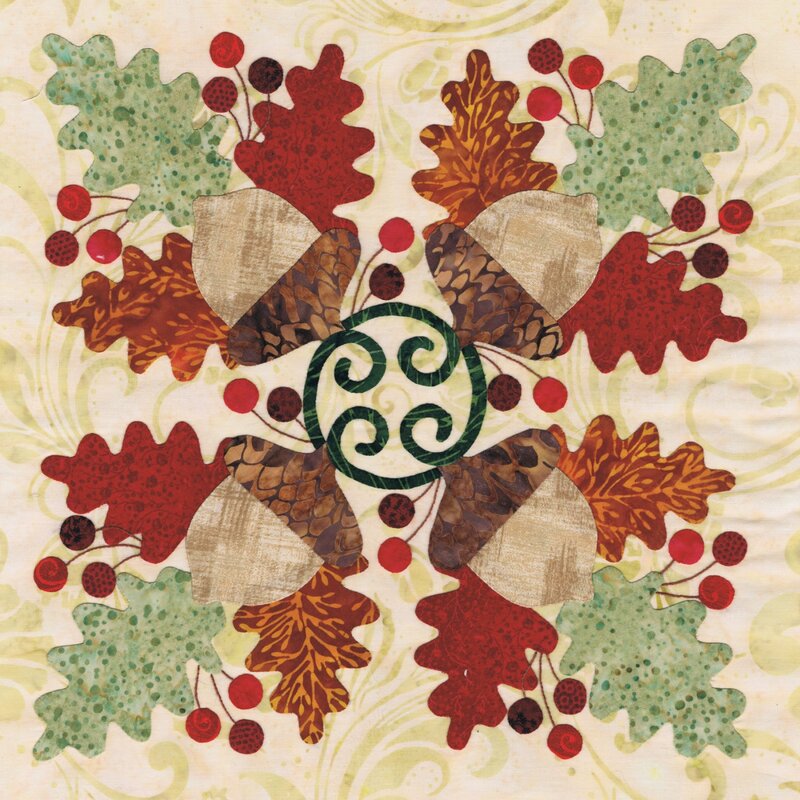 Those beautiful quilts inspire me to create my Baltimore style quilts. 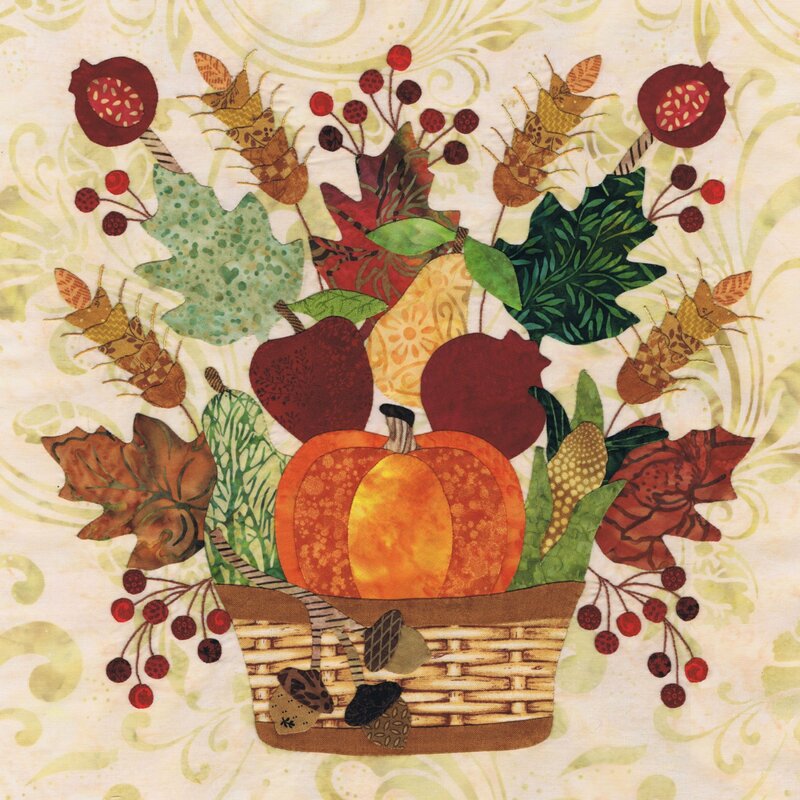 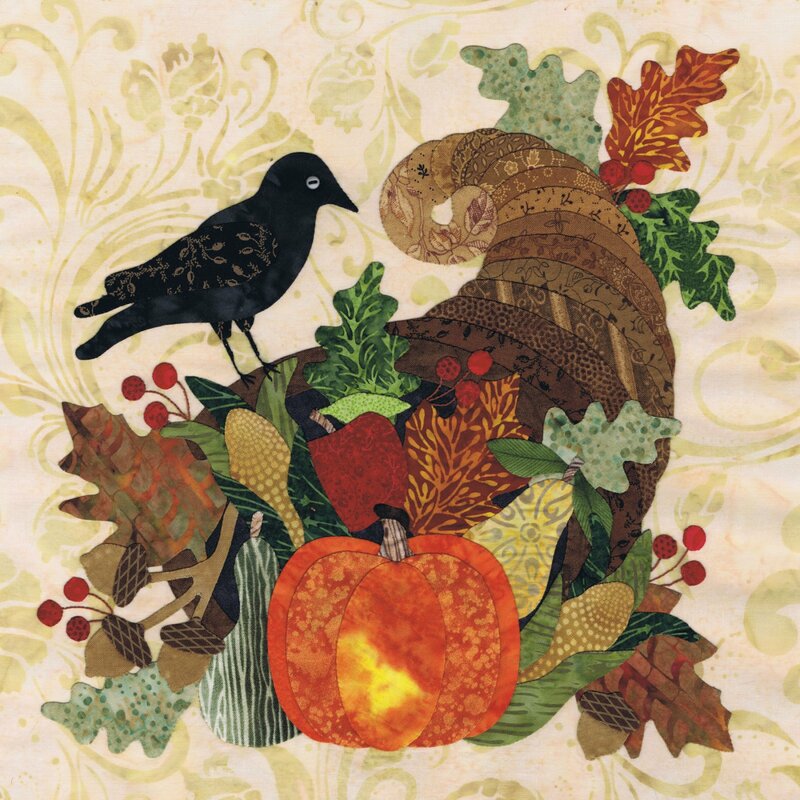 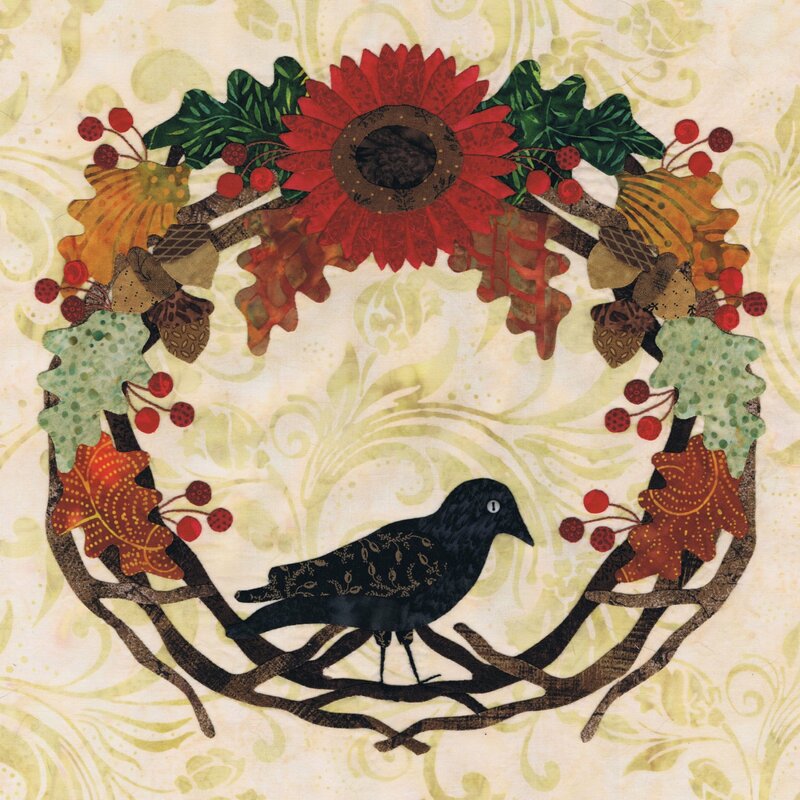 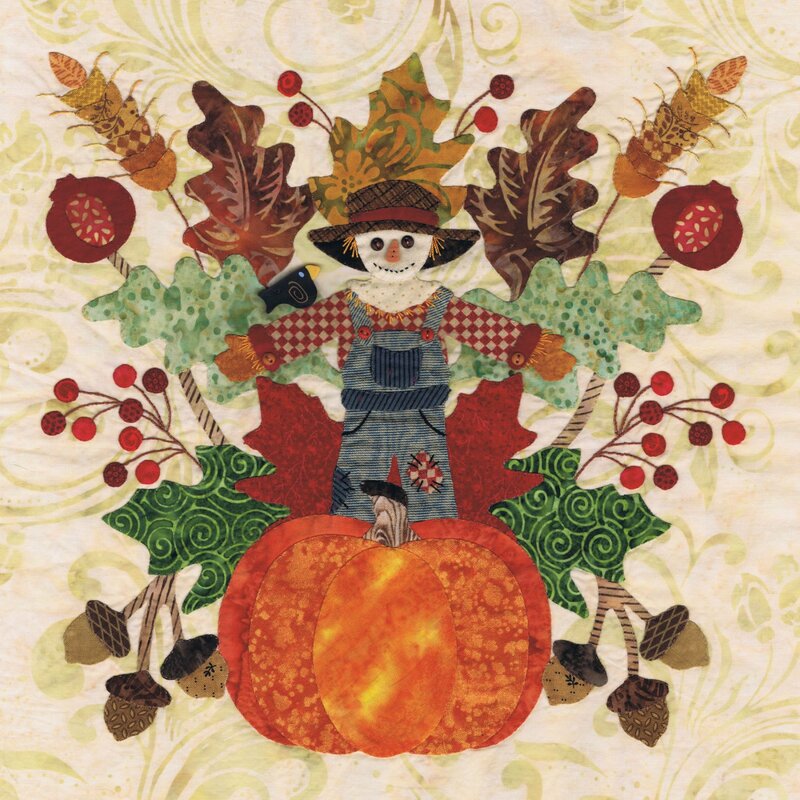 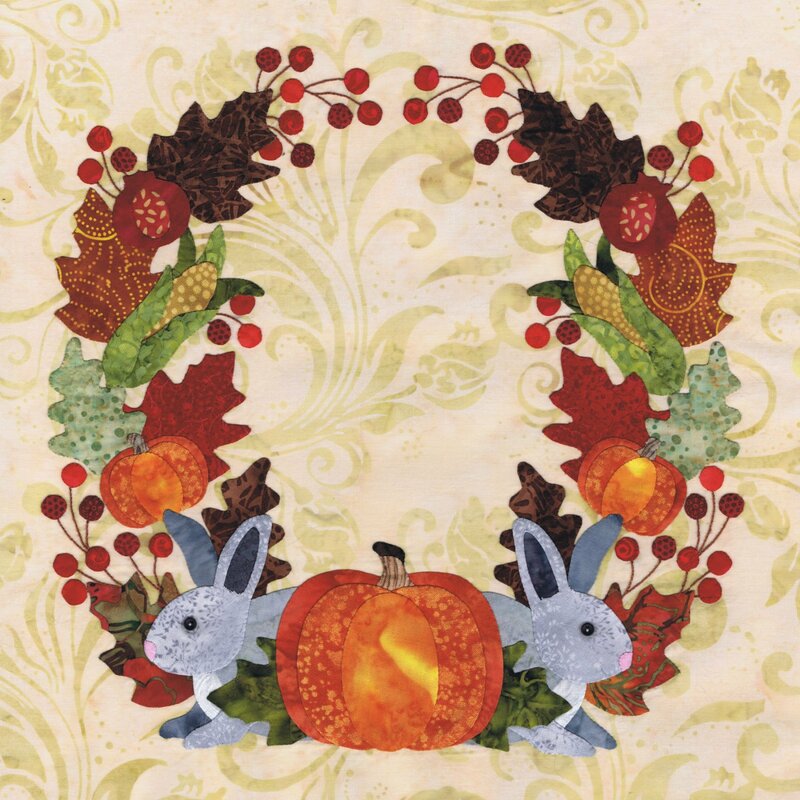 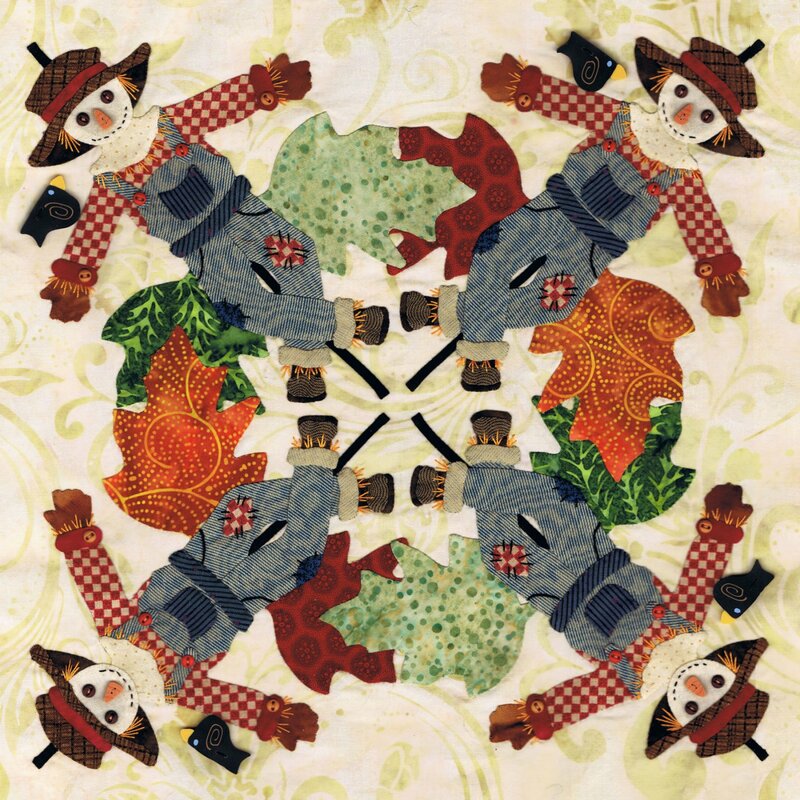 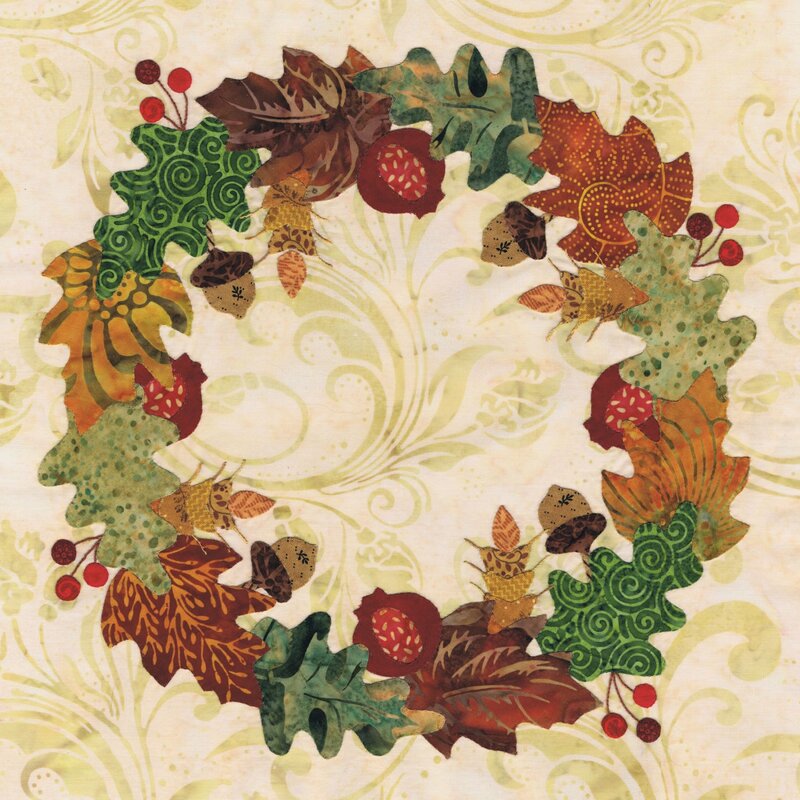 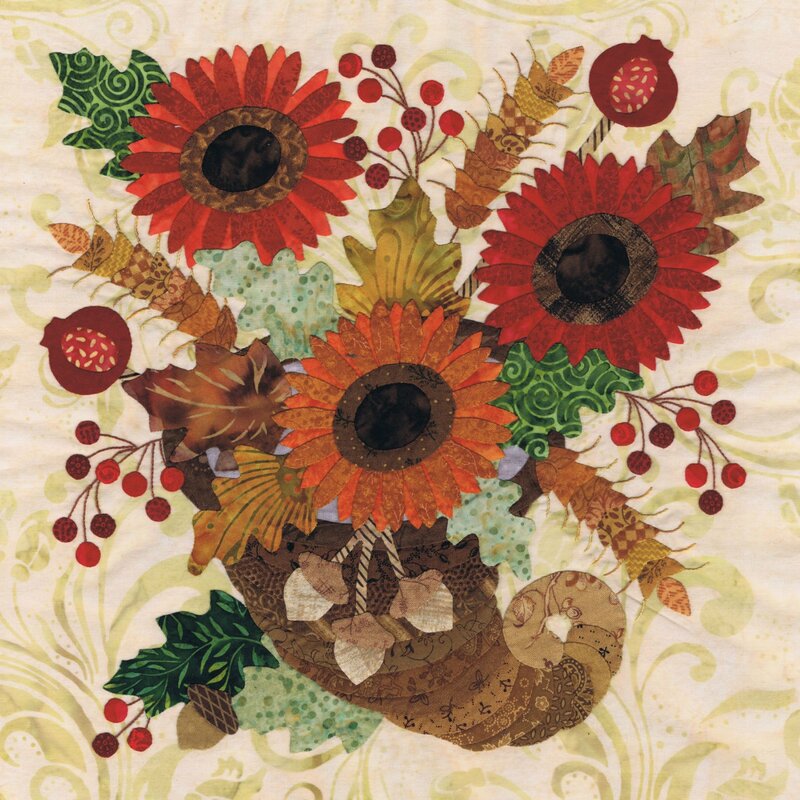 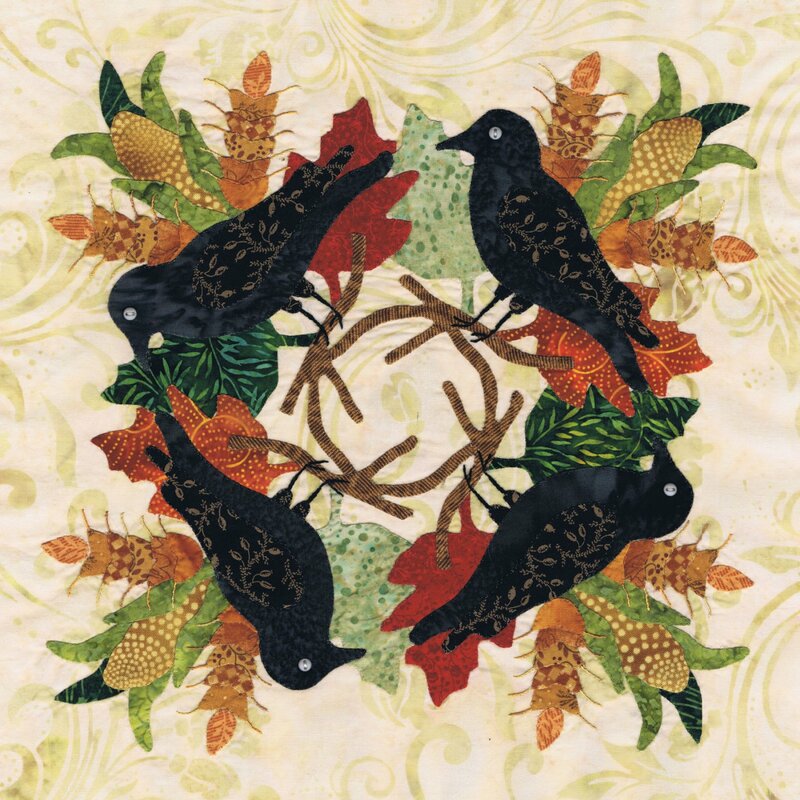 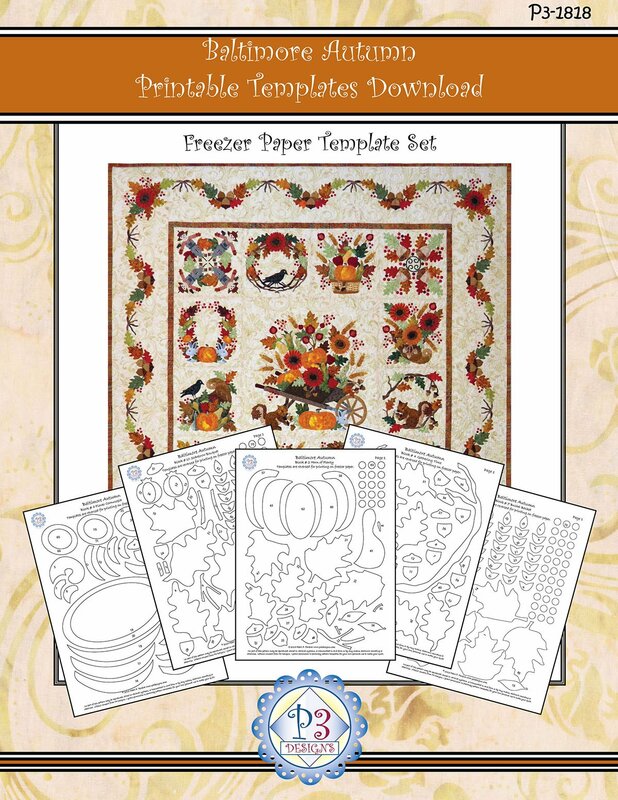 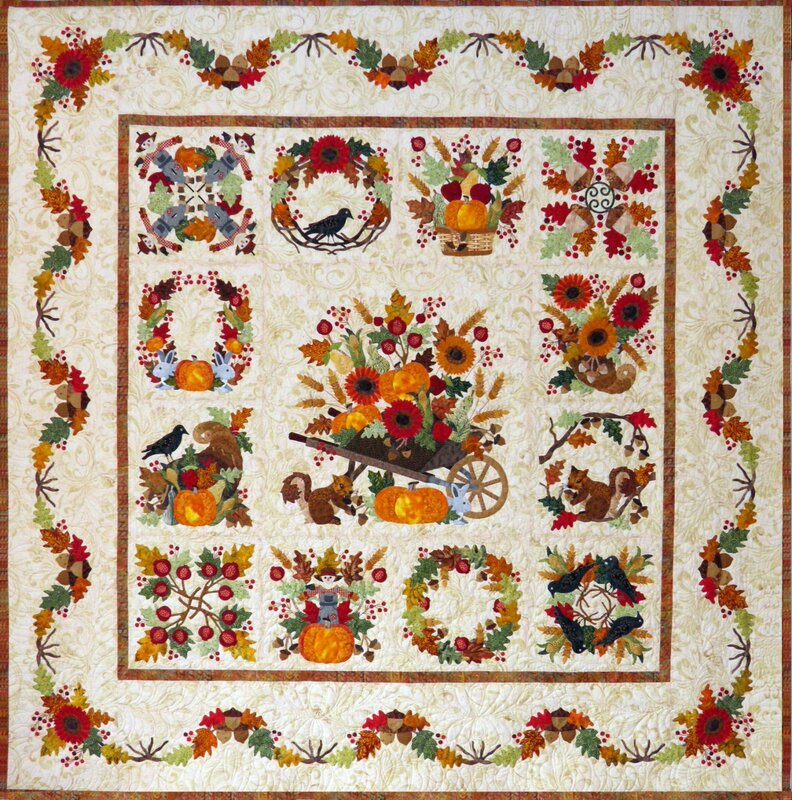 The 24” center block is surrounded by twelve 12” album style blocks and surrounded by Autumn flower & leaves, scarecrows, pumpkins and acorn applique border.